Waterloo – Don Phillips, 68 of Waterloo died Monday August 6, 2018 at Betz Nursing Home in Auburn. He was born January 1, 1950 in Garrett to Ralph and Lola (Funk) Phillips. His father has passed away and his mother survives in Waterloo. 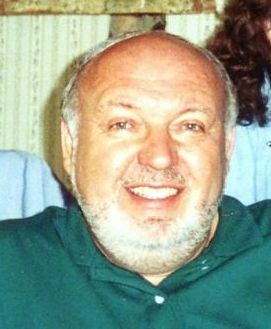 Don was a 1968 graduate of DeKalb High School and earned his Associates Degree from International Business College in Fort Wayne. He worked in Industrial Sales in the Chicago area before retiring in 2013. Don was baptized in the Cedar Lake Church of Christ and Loved to golf and spend time with good friends. Surviving is his mother, Lola Phillips of Waterloo; 2 children, Andy Phillips and his wife Tiana of Garrett and a daughter Kristian; a brother and sister, John (Jan) Phillips of Waterloo, Jane (Gerald) Wilhelm of Auburn and a sister in law, Wyneek Phillips of Waterloo; 2 grandchildren, 3 nieces and 4 nephews. Preceding him in death was his father and a brother Joe Phillips. A graveside service will be 2 PM Saturday at Waterloo Cemetery in Waterloo, The family will receive friends 2 hours prior to the service from 12 to 2 PM Saturday at Feller and Clark Funeral Home, 875 South Wayne Street, Waterloo. The family asks that in lieu of flowers memorials be directed To DART. To send condolences visit www.fellerandclark.com.